I thought I would share a tip with you today that I have had to teach myself, and you may be interested in knowing about. What I mean by that is: a blog comment that is neat and tidy, with all the URLs included linked to the name of my blog or page I am recommending, instead of having reams and reams of link URL. Change the "Blue" Text with the title of the page you are wanting to link. 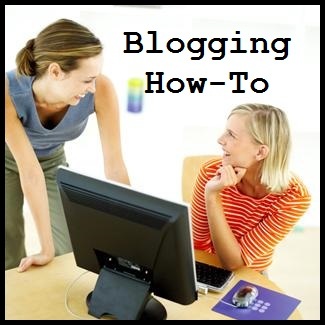 And that is it - 2 Easy steps to adding a link to your next blog comment! This doesn't work in Google+ by the way, there you have to add the URL to the comments, the code above does not work there. I read how to do this on another blog about a month ago and have been using it since. You're right, it does look more professional. There have been a few that didn't work and it looked horrible. By the time you see it though, it is too late and has been posted. All in all though I like using it. And it is so convenient for the blog owner to find you to comment back. I would also add that for convenience for me, what I did was to put the code (ready to go) into a document and save it to my desktop. That way when I need it, it only takes a couple of clicks to open, copy, close, and paste to my comment, like you see below. It's funny you post about this. Awhile back I checked into it too and learned how to do it, but I haven't actually done it yet! LOL Your post is reminding me that I really should try. How about with this comment? Let me give it a go.